Animal Care and Control (ACC) of New York City has plans to open a brand new shelter location in Ridgewood in a site that today sees a car junkyard. The organization’s proposed Ridgewood branch would be called the Queens Animal Shelter and Care Center, and is sited for 151 Woodward Ave., a location that would require an environmental cleanup before the shelter can go through. The animal organization recently filed an application with the state Department of Environmental Conservation’s brownfield cleanup program to clear the contaminants from the site, which has historically seen industrial and automotive uses. According to the application submitted by ACC, the Woodward Avenue property has varying levels of petroleum, chlorinated solvents, semi-volatile organic compounds, metals, and polychlorinated biphenyls. 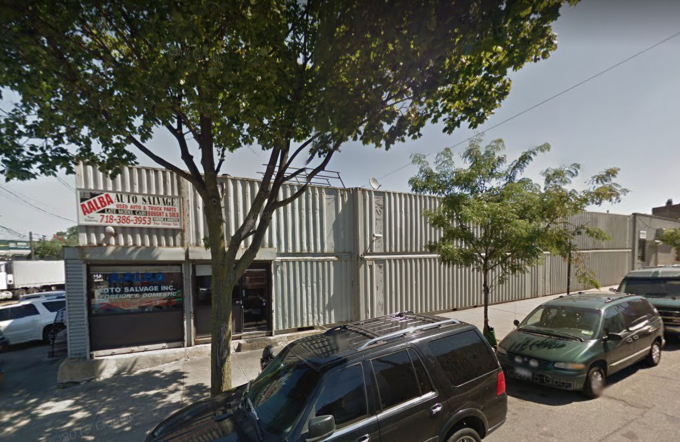 The one-acre site currently has two garages, a temporary office space, and containers. Aalba Auto Salvage, Inc., along with Tire Wheel and Glass Depot operate on the location. The application was announced by the DEC earlier this week, which noted that the public comment period for the project is open until March. ACC told the Ridgewood Post that it entered into a contract to purchase the property and will close on the deal in coming months. The organization plans to demolish the existing buildings and construct a 50,000 square foot shelter capable of housing 70 dogs and 110 cats, and will have space for small animals such as guinea pigs and rabbits. “The full-service, state-of-the-art shelter and will be designed, built, and owned by Animal Care Centers of NYC and will fulfill Mayor de Blasio’s commitment to have a fully operational animal shelter in each borough,” an spokesperson for ACC said. The shelter is slated to open in 2020. ACC operates care centers in Manhattan, Brooklyn and Staten Island. This will be the first for Queens, which currently only has an admissions center in Rego Park. For more information on the site’s brownfield cleanup application and to comment, click here.